This last day of February, I risked getting late to work. 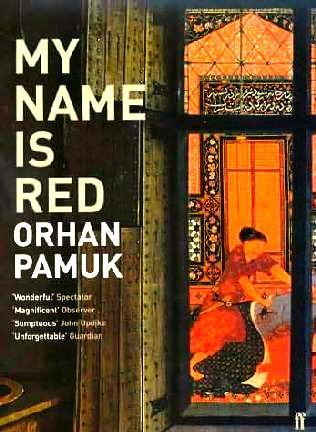 I walked around the house frenetically, preparing my bath things, putting out my clothes, bumping into furniture, eyeing the clock, panicking, yet continuing to read the last few pages of Orhan Pamuk's multiple literary award-winning novel, 'My Name is Red'. It had to be finished today because I started reading this damned book in the beginning of January! When I say 'damned', I mean eloquent, I mean grandiose, I mean grandiloquent, and I mean all of those fancy adjectives. Even so, had I taken any longer than two months to finish it, I would have to shamefully walk around with a brown paper bag over my head. It should not take two months to finish, but 'My Name is Red' is by no means an easy book. It is an exotic thriller, a study in language and a smallish history of Islamic art, all at the same time. Sometimes one loses patience, when Pamuk takes his time to weave into the plot minor stories from Islamic folklore and literature, but he is almost immediately forgiven for the wealth of knowledge and beauty flowing from his pen. These micro story clusters, usually in threes, are chewy, sweet, though not entirely indispensable. Pamuk uses these tales of shahs and pashas, artists and miniaturists, dervishes and lovers in the old school style of fables, richly texturing his plot. Every word, every turn of phrase has been artfully chosen by the writer so it resembles the coloured yet troubled world of artists. The artists, heroes and villains of this book are all miniaturists belonging to the Ottoman Empire. Caught between their loyalties to olden Herat masters and new and lucrative Frankish techniques offering recognition and fame, these miniaturists live in times of intense turmoil. Working together, yet individually, on a secret book commissioned by the Sultan, they are pitted against each other. Jealousy, rivalry and suspicion lead to the murder of one of the miniaturists by another, and the drama begins to unfold. The principal characters are the murdered miniaturist, Elegant Effendi; the royal workshop head, Master Osman; the co-ordinator of Sulatan's book, Enishte Effendi (who is also murdered along the way); his nephew, Black Effendi; his daughter, Shekure; Esther, the Jewish clothier and matchmaker; and three other master miniaturists, nicknamed Olive, Stork and Butterfly. It is known to the reader that one of this trio is the murderer, but Pamuk carefully conceals his identity till the end. The narrative is done through each of these characters, and there's a breathtaking change of perspective with every successive chapter. A narrative of this style is quite unlike anything I've ever read before. The chapters are simply titled 'I, (character name)', so the reader knows easily whose voice he is hearing. Pamuk slips effortlessly from the mantle of a murdered to an artist, to a woman to a man. There are these exquisite chapters where the author even assumes the voice of a colour, an illustration or a mythological character, thus making organic the world of paints, brushes, and passion. His lines can easily be likened to brushstrokes, not big and broad, but fine like a miniaturist's. After all, it took Pamuk nearly eight years to create this masterpiece. One of the most enduring images in religion, nay humanity, is that of a mother and child. 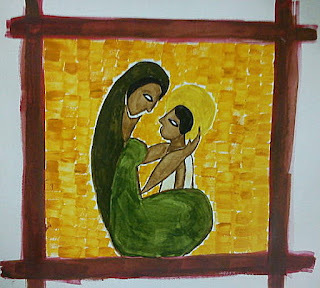 Whether the child is little Krishna or baby Jesus or any other, the bond between mother and child is always divine. I did what every aspiring artist sooner or later does. I drew horses. On MS Paint again. Throws tantrums just the same. From the child next door; he’s mute. He must want to say so much! That could go wrong, but have not. when I dared to push my lips against it. my back pressed against the wall. the hot flush of love against the cold of the wall. The memory lives, grows, sears. It is a fever. You shudder, you sweat. You want to lie down, you need to sit up. Yes, a fever. A fire that's burning me up. A fire that won't listen to reason. 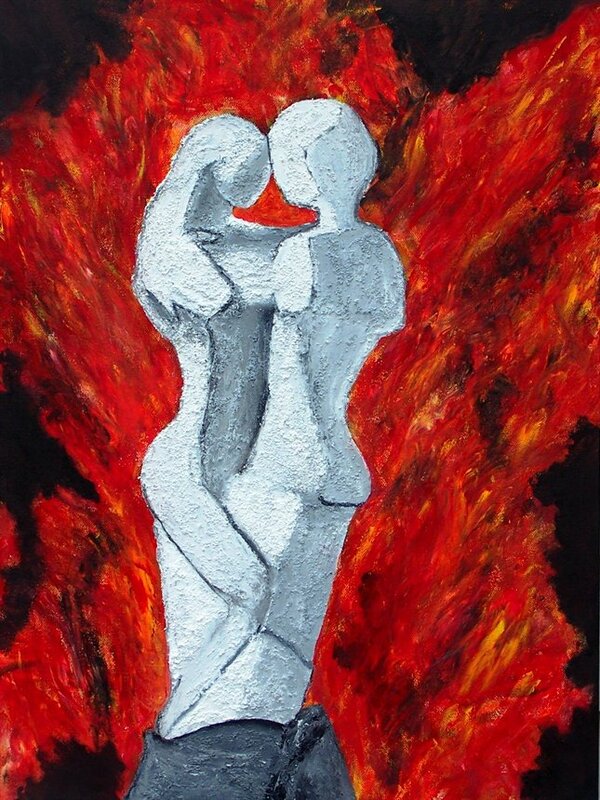 I will be your phoenix, you can be my arsonist. Scarlet lips to burn you, flushed cheeks to burn you. Here, inside of me, is a living arsenal. you will keep alive with flames of longing. this stark and lonely night. Touch your tongue to mine, quench this longing. Nay, stay away, lest all turn to ashes. There is a desperation in this denial. A quiet hunger. I will wait. I will make you want me. Every good thing in life has a price tag. My new job close to home, which is as close to a boon as any Mumbaikar can get, has a price tag too. No traveling time has translated to no reading time. And my love for reading is only slightly less than my hatred for traveling. No, I’m not really complaining, but I miss my books. I miss that frenetic reading I did on BEST buses during my six months at the Bandra job. I miss being the object of awe and admiration when I would post a new book review every other day on social networking sites. Now I am like anyone else; I struggle to finish a book and occasionally, stare wistfully at my blog, which begs for a new post. I was, thus, learning to fit into my new mantle of assistant editorship of not one but two magazines and crawling through the pages of Orhan Pamuk’s much-venerated work, My Name is Red, when my old colleague and friend, Veda asked me to review her mom’s new book. I was more than honoured, because I’ve admired Saaz’s work before, and it was her book review blog that inspired me to start writing my own reviews. I said yes, albeit warily, because I wasn’t sure when I’d find the time to read it; much less, review it. The book arrived a few days later, and out of the parcel came a happy-coloured cover with Saaz’s distinctive artwork on it. Titled, The Songbird on My Shoulder, the book had a slightly naughty subtitle: Confessions of an Unrepentant Madam. I was drawn in. The fun testimonials on the back cover by Saaz’s friends and family, the terse little introduction and the fact that it was a compilation, which did not need me to read in sequence, drew me further in. It was a welcome break from Pamuk’s need-to-ponder-upon prose. Before I knew it, I had breezed through the book, even as the incessant wheels of domesticity and profession whirred. I wishfully flipped through the pages, taking in snippets from Saaz’s life, enjoying the randomness of it all. Here was a 30-something Saaz writing a poignant poem that betrayed her youth, and here was a 50-something Saaz reminiscing about a quaint little episode from her life, her perspectives firmly in place. Here I was laughing one moment at her toilet humour, and here I was weeping at her emotional journey into (step) motherhood. Here I was marveling at the depth of her 3-line poems, and here I was identifying strongly with her experiences as a woman, a writer, a wife and a mother. Saaz is an easy writer to read, without her being flippant. 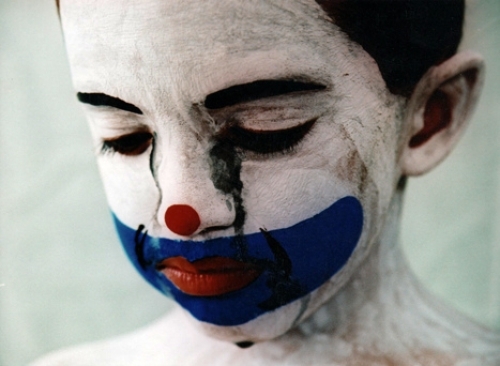 She’s witty without being comical, deep without being pretentious and articulate without being verbose. The Songbird on my Shoulder is a compilation of articles and poetry she has written over the years, of things published and unpublished, of matters great and small. It is a pretty picture of a life lived full and well. Her life; but you will very easily see many scenes and shades from your life in it too.